Do you want to know everything about Mandarin House? Keep up-to-date with the latest news and promotions. On October the 20th Mandarin house officially held the first online HSK test in our Shanghai, Hongqiao centre. Over 70 students took part in the test this Sunday. Mandarin House has helped over 1000 students achieve their HSK goals. The HSK results set learners apart.HSK, the internationally recognized Chinese proficiency exam, is not an easy test. One of the most popular and fun Chinese festivals is the Dragon Boat Festival or 端午节 Duānwǔjié. This year it fell on June 12th and Mandarin House invited our students to participate in the celebration. So you're in university and you need official credits when you study Chinese abroad? With the Mandarin House University Credit program, you can earn official college credits from a US university while you study with us in China! The new school, located in the Shenggao International Building in the Hongqiao district of Shanghai, contains 12 classrooms and can accommodate 100 students. The school was opened in order to handle increasing demand for high-quality language instruction throughout Shanghai. Find out the upcoming test dates and deadlines. Choose a date, then register at the most convenient location in Shanghai! Prime Minister Gillard has set forth an ambitious plan for promoting Chinese in Australia. And the money is there to support it. Matthew finished the intensive Chinese course at Mandarin House in December 2012 and came back to Beijing to attend the CPPCC in March 2013. As a reporter from CAMG Media Group, Matthew posed his question to the Chinese advisory body in Mandarin. Ever wish you had a head start on building that infamous guanxi? That’s exactly what a group of EMBA participants received from Mandarin House. Helpful hints, tips and taboos accompanied a traditional Chinese banquet dinner. Mandarin House's CEO, Jasmine Bian, was invited to attend this grand gathering of Chinese language professionals. From us to you, may 2013 bring light, prosperity, and lots of Chinese! Watch Mandarin House students perform Chinese tongue twisters. On December 21st, Mandarin House held a multi-lingual, multi-national Chrismas celebration. On December 3rd, Mandarin House hosted its third HSK exam with over 100 participants. Last week, International Channel Shanghai (ICS) came and interviewed some Mandarin House students and staff for an upcoming episode of Laowai Lowdown on ICS's 'Shanghai Live' TV program. Mandarin House Shanghai held language and culture activities for 30 students from Limkokwing University. In China, the National Holiday is a big deal and it is to celebrate the founding of the People's Republic of China by Mao Zedong in 1949. Our Beijing students, staff and teachers recently celebrated China's Teachers Day (教师节) and the Mid-Autumn Festival (中秋节). New Mandarin House Students Review Video! Keep an eye on our Students Review and share your experience with us! Why did you start learning Chinese? What do you like about China? How do you like Mandarin House? Mandarin House will attend the 6th Expat Show Shanghai, held from September 14th to 16th at Shanghai Exhibition Center. Come to visit our stand and get a special surprise in return! On September 8th, Mandarin House hosted its first HSK exam as a registered testing center, recognized by Hanban. Get ready and register for the next HSK exam with Mandarin House. Get informed about upcoming dates! Sergio, Mexican (25) and student at Mandarin House, has been in Shanghai for 10 months. After working for a while, he decided to start a business with other two partners and invest in his future by learning Chinese. Do you want to know how he became an entrepreneur? Do you want to know more about Mandarin House' teachers? Read more about about Eric 老师 and his experience at Mandarin House. It will surprise you! Summer is coming to an end, as well as 2012 Summer edition. This year, about 100 kids aged between 7 and 19 years from all over the world joined Mandarin House Summer Program and some of them left a final message to share with everybody their experience at Mandarin House! Jasmine Bian set up Mandarin House in China, now a successful language school chain which has taught over 20,000 students from 70 countries. Get to know about her plans for the Mandarin House brand. The main topic was “Innovation and Development: International Chinese language teacher`s training and development.” Over 500 educators attended the workshop on strengthening Chinese programs, including Mandarin House president, Jasmine Bian. More and more parents are sending their kids to summer camps in China or even moving to this country to give them a first-hand Chinese language and cultural experience. They think that with the rise of China’s global influence, their kids will have better future opportunities if they are fluent in Chinese. Real-life Chinese! Are you ready? “What is the best way to learn Chinese? If it’s practical for your life, then you’ll remember it more easily,” says teacher Stanley Sun from Mandarin House. “We have developed our own structured, holistic curriculum based on the fundamental principle of providing real-life Chinese communication training,” he continues. Get to know the essentials. Richard and Veronica, father and daughter from the USA, are spending their summer together at Mandarin House. While Veronica is learning Chinese and participating in the Summer Camp cultural activities and excursions, Richard is taking the intensive Chinese course and joining his daughter for some excursions. Mandarin House is the perfect place to start preparing for HSK. Kevan, a 19-year-old intensive course student from Austria shares, "Every day 6 hours in class and at the end of July I will take the HSK Level 3." "Since I've learned Chinese, it's like I have more space in my brain," by Ninette Bohbot. At 72 years of age she completed an intensive Chinese course at Mandarin House and has been studying Chinese for 4 years. What is her secret? MH: Registered HSK testing centre!! Probably the first private Chinese school in China to achieve this!! We will keep you informed with the exam dates and updates! Hope to see you taking the HSK test with us! We know it can be difficult to settle down to a new life in China! For this reason we want to share with you some useful expatriate forums. Read more about it. If you enjoyed your time studying with us, it would be great if you could leave a short review sharing your experience on these sites too. We love our student ambassadors! If you want to know how to learn Chinese and be ready to start your experience in China, we recommend you visit the following sites to get prepared! Take a look to the following links! Get a plus in your experience in China and start “baoing” your “jiaozis” and go wild with a Chinese brush! Every month Mandarin House offers twice-weekly activities to help you discover traditional and modern China. Language PLUS program gives cultural insights to complement studies while meeting new people. Subscribe to MH Youtube Channel! Take a look to Mandarin House new videos! 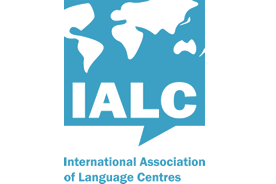 We want to share with you our students review, information about learning Chinese in Beijing and Shanghai and remember when Mandarin House hosted the IALC Workshop 2011! Subscribe to our Youtube channel and be always connected! Cultural Insights and funny stories about China! Join us on facebook! Mandarin House Facebook page gets you updated about new Chinese learning trends, funny stories and cultural insights about China. We post the pictures taken during the Language PLUS activities! You can also be in touch with other people interested in learning Chinese or Chinese culture!Join us! 28th August Event: How Does Networking Really Work in China? Shanghai is a concrete jungle full of great business opportunities. What's the key to doing business here? Networking. The Canadian Chamber of Commerce and Mandarin House are pleased to present How Does Networking Really Work in China, where you'll learn how to work the room in both languages. At Mandarin House we strongly believe in the importance of our alumni staying connected. These can not only keep you motivated to improve your Chinese level, but also can give you a valuable network for future career and business opportunities. Join us! Enjoy the amazing natural scenery and learn more about the ancient lifestyle outside Shanghai! Register to come to Zhujiajiao, the ancient water town, on June 30 with Mandarin House. Teachers will tell you everything about history and actual life. Read more to have more information. China's Best Summer Program is here! Summer is here and Mandarin House is hosting again its famous Summer Programs for kids and teens. Every year 100’s of students from all over the world attend Mandarin House to learn Chinese, experience traditional and modern Shanghai, Beijing, make international friends and have the summer of a lifetime! Go wild with a Chinese brush! As part of Mandarin House Language PLUS course, we invite you to come to our Chinese calligraphy workshop for free!! Try your best with a Chinese brush! Get the feeling of China's ancient history and philosophy. We wait for you next Wednesday June 27! Register for Language PLUS and participate in all the cultural activities and excursions organized by Mandarin House. For next week we propose visit to Yuyuan Bazzar and Temple of City God (June, 19), and Modern Shanghai Sightseeing Tour (June, 20). Do you want to come? Lots of people came to Mandarin House´s Open Day Cultural Activities for kids and adults on June 2! Together we had fun making wonton, practicing Chinese calligraphy or playing Mahjong. Take a look to the pictures we took! This is Mandarin House big family, come and join us! Mandarin House is proud to present its new website www.mandarinhouse.com! Check out our courses and promotions, learn from Chinese cultural insights, test your own Chinese, read student testimonials and watch our new school videos. Get all the information you need to learn Chinese with the best!! For more news, subscribe to our newsletter or like us on facebook.